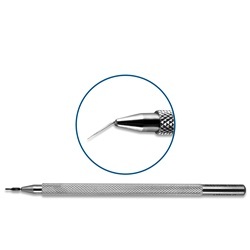 The Lee spatula is a femtosecond cataract instrument. 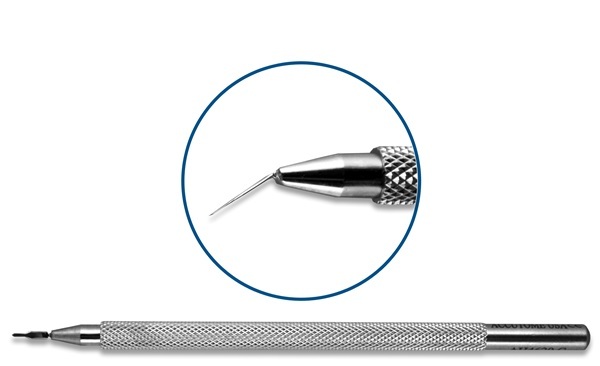 Flattened tip design offers benefits of opening both sideport and main incisions. A short handle allows for easy maneuvering under modern surgical abberometers. Angled shaft. Round handle.